One UW-Madison grad student was not just driven buggy by the climate change crisis, she was driven to bugs for a solution. My interview with Valerie Stull about her and Rachel Bergmann’s mighty MIGHTi project (Mission to Improve Global Health Through Insects)aired on WORT-FM March 17, 2015. Their unconventional idea brings a small solution – insects – to help with two big problems: hunger and climate change. As Stull explains, meal worms provide a highly efficient source of edible protein requiring 1/5th the feed per pound than beef. Additionally, meal worms produce none of the potent green house gas methane that beef cattle does. Listen here (about 4 minutes). What creative problem-solving! UW Madison’s Climate Quest competition awarded Stull and Bergmann top prize for their project’s creative potential to impact climate change in 2015. It may even have more potential than those of us acculturated in the industrialized west may give it credit for. In case you’re still skeptical about eating bugs, remember that John the Baptist did just fine on a diet of locusts and honey (Mark 1:6 ; Matthew 3:4 ). For more examples of insect eating (called “entomophagy”) throughout history, check out National Geographic’s “Bugs As Food: Humans Bite Back” and“For Most People, Eating Bugs is only Natural”. Originally published July 18, 2011. Farming God’s Way in Kenya is going strong today, continuing to provide “famine prevention” skills combined with discipleship training. It has been a year of flood and drought. This spring’s floods along the Mississippi and Missouri rivers are old news to most of us, as is the ongoing drought in Texas, which is breaking records set as long ago as 1917, long before the Dust Bowl of the 1930’s. But nowhere in the world are things as bad as what is happening in East Africa, not far from where Craig and Tracy Sorley are serving in Kenya. 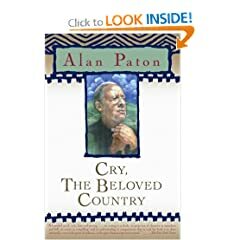 Alan Paton wrote his novel in 1946, published in 1948. It is set in South Africa. What is startling about the book is that the first two pages could have been written about Kenya – and could have been written yesterday. And, 2)Why don’t we learn? If it was obvious that people were destroying the very land they needed to live on more than 60 years ago, why do we keep acting surprised? Why do we think we can solve this with more fertilizer or another loan from the World Bank?